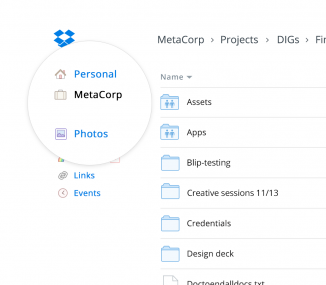 Dropbox today is launching a new enterprise-friendly version of its file-hosting service. 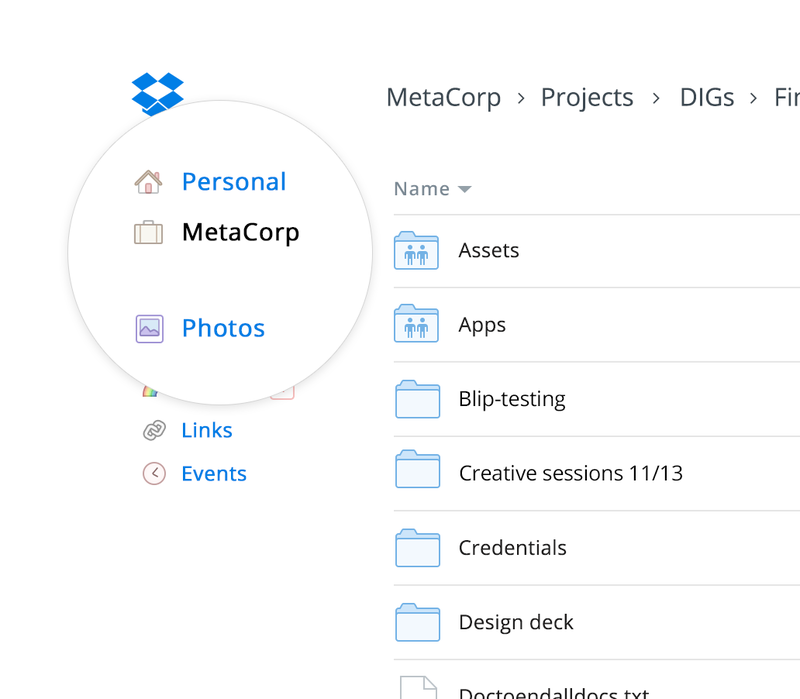 Rather than create two separate offerings for personal and business use, the company has rebuilt its core product to allow enterprise users to control what their employees have access to, and to allow consumers to separate their personal files from their work files. That means company admins will have enterprise-grade tools like shared audit logs; remote wipe and account transfer when an employee leaves a company; centralized billing; two-step verifications; and 24/7 customer service. Meanwhile, individual users will have both a personal folder they control, as well as a work folder they share with their company. 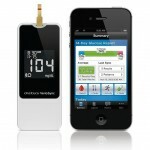 The product will cost $795 per year for five users, and $125 per additional user per year. 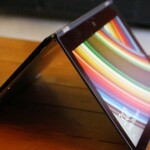 It is to launch in beta this month, and more broadly next year. And according to an internal count, four million companies use Dropbox today, including 97 percent of the Fortune 500. 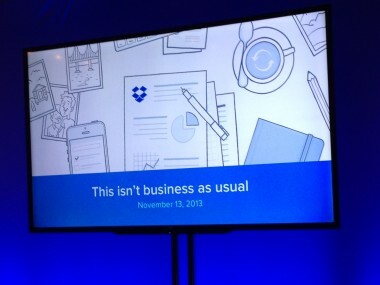 Now Dropbox is going to take those businesses more seriously. But that doesn’t mean it’s splitting off separate tools. It means it’s adding corporate-grade tools to the core Dropbox product. “Some people think there’s a consumer version of Dropbox and then there’s this different enterprise version of Dropbox,” Houston said. “We think that’s ridiculous. 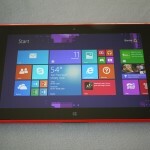 There should be only one.” Switching between two products would waste users’ time, he argued. Yet, there’s more work to be done. 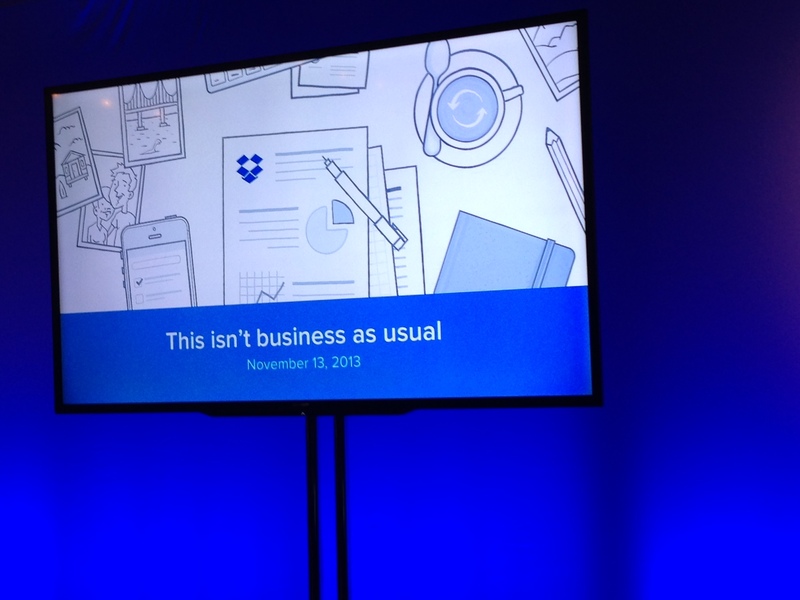 The new version of Dropbox doesn’t include employee collaboration tools. 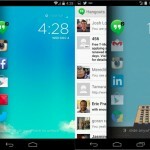 And that feature will be essential for fully taking on Google and Microsoft in the productivity space. “We understand exactly what we have to build next,” said business product head Ilya Fushman.